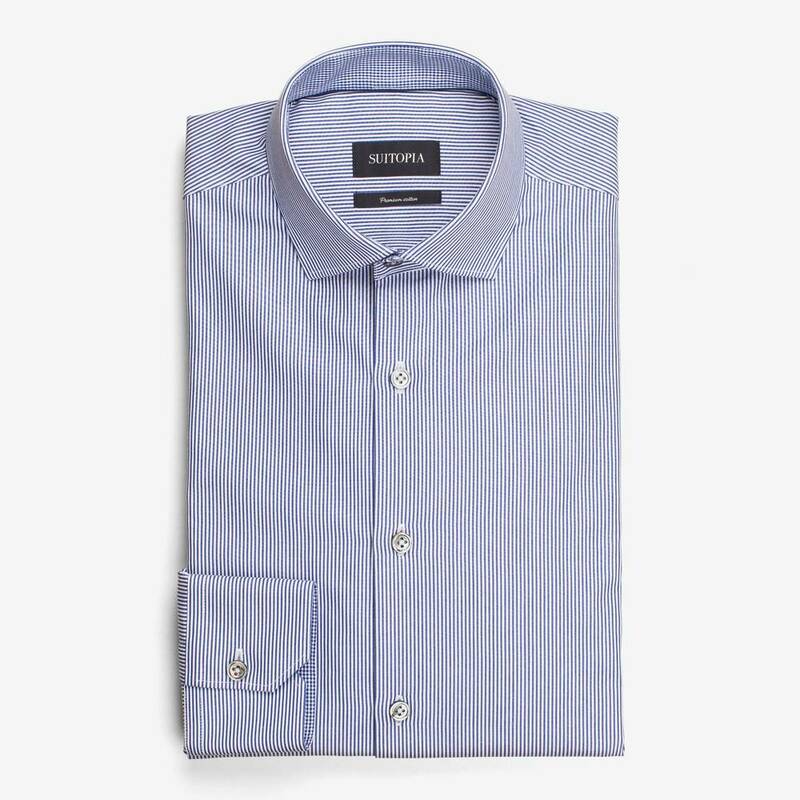 Must-have shirt in cool poplin. 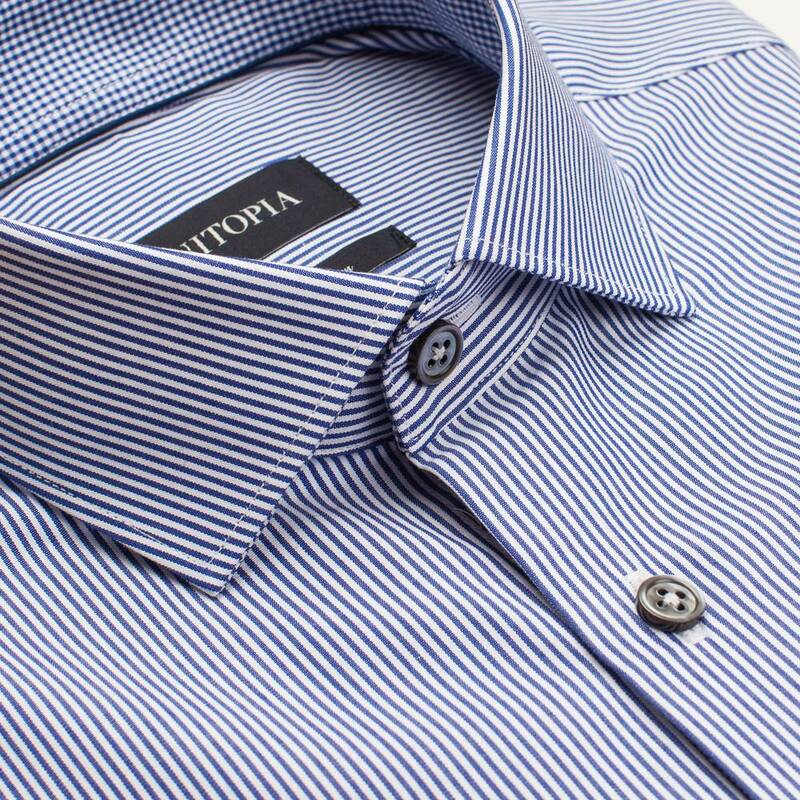 Classic design with cutaway collar, French placket, single cuffs and grey buttons. 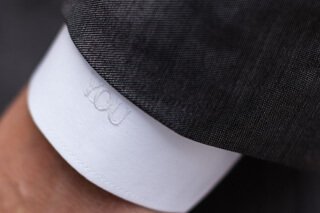 Discreet contrasting fabric inside collar and cuffs. Adjust the design to your liking.